Ambient Mixer is a powerful ambient noise generator that allows you to listen to and create countless audio atmospheres. From the comfort of your home being upgraded by a crackling fireplace to traveling to Wakanda with Black Panther, everything is possible. There are many great functions Ambient Mixer gives you to make this experience even better. Today, we want to introduce them in more detail. The primary goal of Ambient Mixer is to provide background sounds and ambient noise mixes that help you when you need to concentrate, study, read, write, or when you need inspiration, music to meditate to, and much more. Thus, there are several ways to find the perfect ambient noise atmosphere for you! On the homepage of Ambient Mixer, the mixes that have the best combination of votes and views are displayed. That way, you can start right up with what the users of the ambient noise generator deem the best of the best. If you want to dive deeper though, the following pages will be much more interesting for you. As the name suggests, the most recent audio atmospheres can be found there. On a daily basis, users create new atmospheres or alter already existing noise mixes to their liking. Thus, the most recent section contains a lot of hidden gems. It perfectly represents the current moods of the users. There are two main ways in which you can create your very own ambient atmosphere using Ambient Mixer’s ambient noise generator. In order to save any changes though, you would need a free account. There are so many amazing ambient mixes out there, but sometimes, there is just something missing. Or something just doesn’t seem right. Luckily, you can alter all existing mixes to your liking. Add sounds and melodies or mute sounds or remove them completely. You can change the title, description, tags, and the image and make a whole new atmosphere out of an already existing one. If you want to start completely from scratch, you can do so too. There is an entirely empty atmosphere for you to play with. 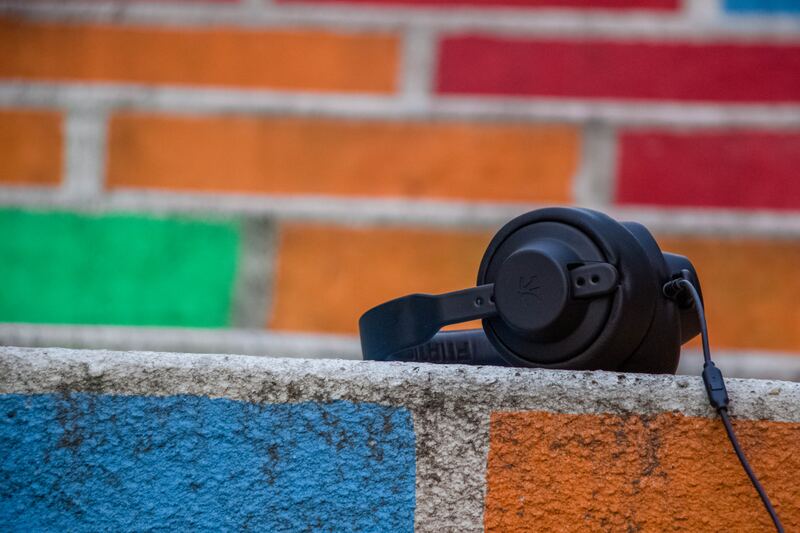 There are no distractions from previous users or sounds. Start with complete silence and use the ambient noise generator to create something magical, adventurous, calming, meditative, creepy, fun or thrilling. Where to get all the ambient sounds for your atmospheres from though? Again, there are two ways to do so. On Ambient Mixer, there’s a large library of ambient sounds available. You can browse them easily by clicking on “Load” on the channel you want to change. They are sorted into descriptive categories and can, of course, be listened to before selection. Of course, you can upload your own sounds as well. You can make them available to all users of Ambient Mixer, or keep them to yourself for your own ambient noise mixes. If you do not use the sounds right away, they will be displayed at the very bottom of your dashboard where you can listen to them again, edit or delete them. When you get to create your own ambient noise mix, either using an existing atmosphere or starting from scratch, you can use different functions to make your mix special. They are listed below. Each channel can use panning. That way, sounds appear to come more or less to the left or right. This can be heard very well when using headphones. The default plays sounds in both directions equally. From there, you can pan the sound either to the left or to the right, gradually. Each channel can have an individual volume or they can be muted completely. That way, sounds can appear closer or farther away on top of being more or less intrusive. In addition, you can change the overall volume of the whole mix when playing it. This setting will not be saved though and by default, all mixes are on the highest overall volume. Especially when pairing a mix up with your Spotify playlist or a song on YouTube, this function comes in handy. Crossfade is for permanent sounds that usually end rather abruptly. Instead of the sound ending and starting anew, a non-intrusive crossfade can be added for a more smooth listening experience. Creating an account on Ambient Mixer comes with more perks than just being able to save new atmospheres. Most of them revolve around the user dashboard which are explained below. If you downloaded an atmosphere on Ambient Mixe, you don’t have to save the link in order to get your download once the MP3 file is created. 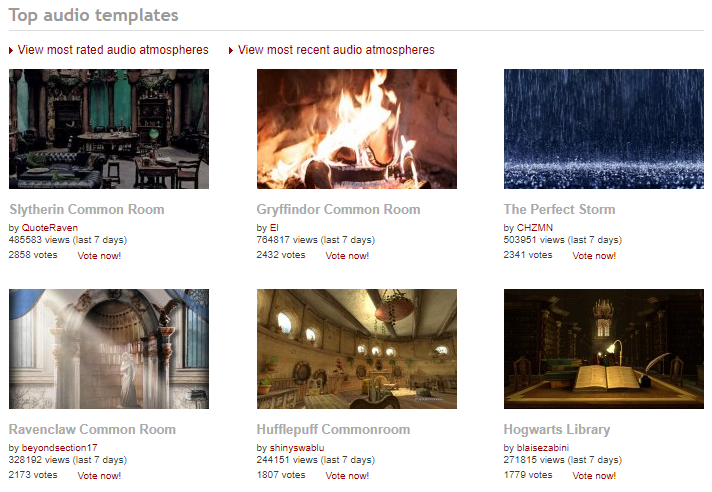 In your Dashboard, there is a list of your latest downloaded atmospheres for you to revisit and download them again. This list is stored approximately three days. Most importantly, the dashboard houses all the ambient noise mixes you have created, ordered by popularity which is determined by views and votes. Which brings us to the next section. As a registered user, you can express your love for certain atmospheres by voting for them. This double-functions as saving your favorite mixes to your dashboard. These mixes can be found underneath your own in the user dashboard. This way, you can access your favorites easily.